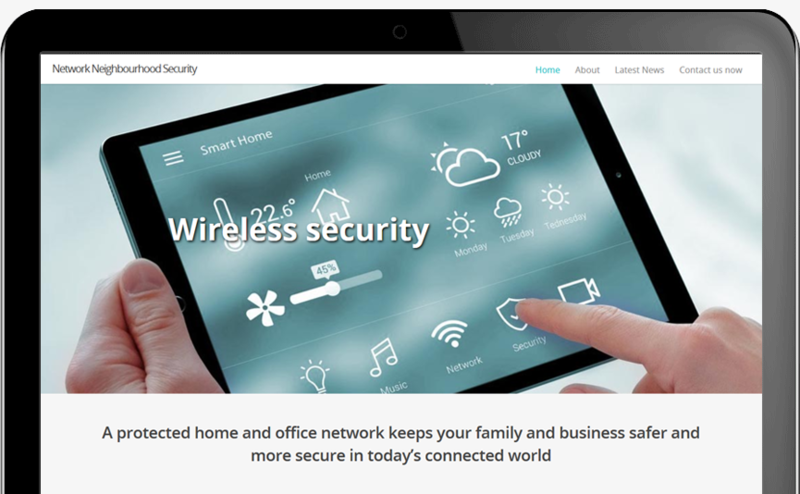 Network Neighbourhood Security is a protected home and office network that keeps families and businesses safer and more secure in today’s connected world at a grassroots level. 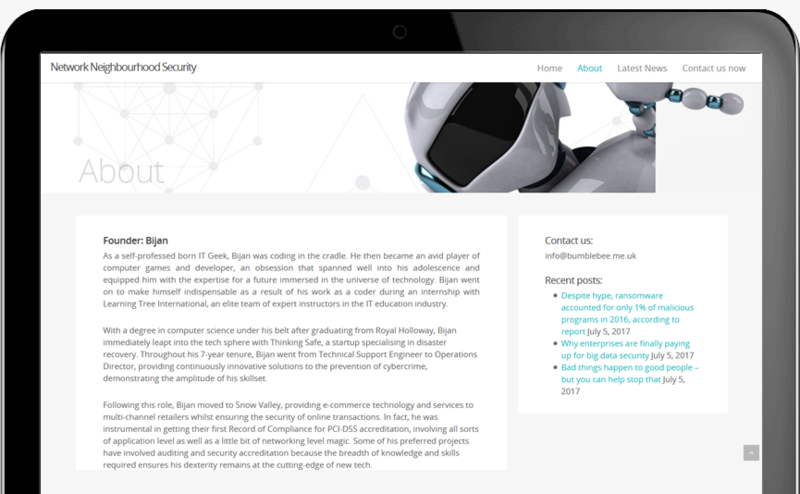 NNS was founded by Bijan, a coder and developer who has evangelised the importance of cyber security, working alongside companies all the way from Silicon Valley to Chancery Lane. He believes cyber security starts with the people and only then the systems they use and engineer. Use of cutting edge cyber security technology for an impenetrable website. Integration of highly stylised imagery and videography. Regular Upgrades to Core CMS and Plugins, ensuring the website always runs seamlessly.